I know St. Patrick’s Day is the next holiday on the calendar but I wanted to share some cute free Easter printables with you. 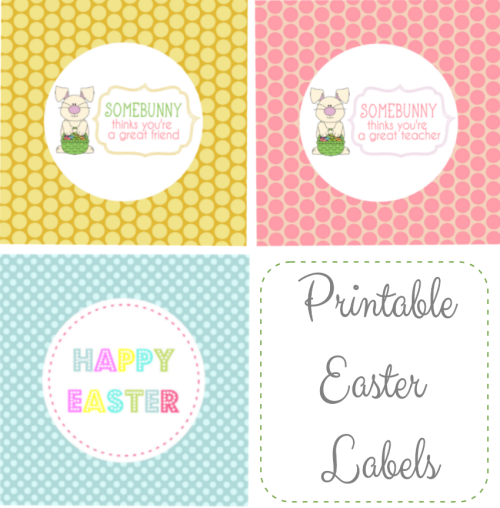 I know that I tend to gravitate towards subway art for Free Printable Friday but I thought sharing some printable Easter tags and labels would be fun. I know that Christmas is usually the big gift giving holiday for friends and teachers but wouldn’t it be nice to surprise your child’s teacher or even your friend with a small gift for Easter? 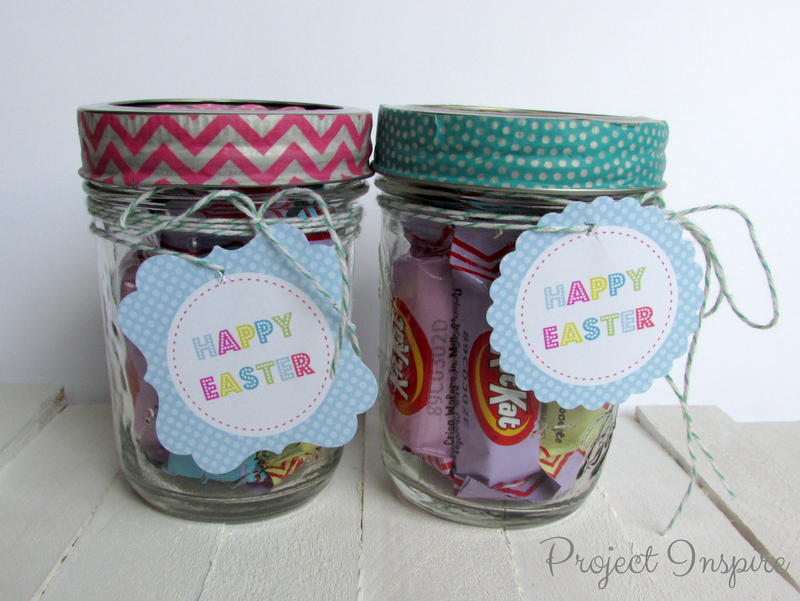 All over the web you see all variations of jar gifts. I was inspired by this post from Clean and Scentsible that was linked up this week during our Just Something I Whipped Up party to decorate some mason jars with washi tape and make some free printable labels to go with it. I filled them with some Easter Kit Kats I had in the cabinet and boom, simple, cute gift for teachers or friends. 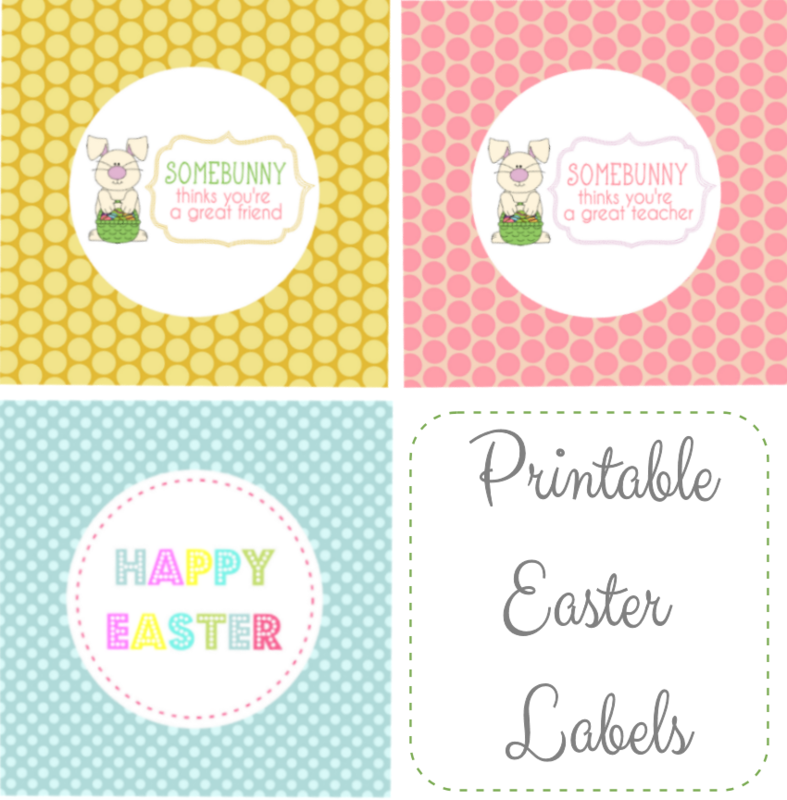 Included in this download is a sheet of “Somebunny thinks you’re a great teacher” labels, “Somebunny thinks you’re a great friend” labels and “Happy Easter” tags. 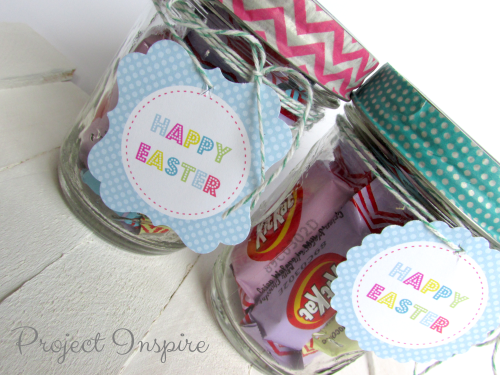 I used a 2.25″ scalloped paper punch from EK Tools for the labels on top of the jars and a flourish punch also from EK Tools and a 2″ scallop punch for the “Happy Easter” tags. 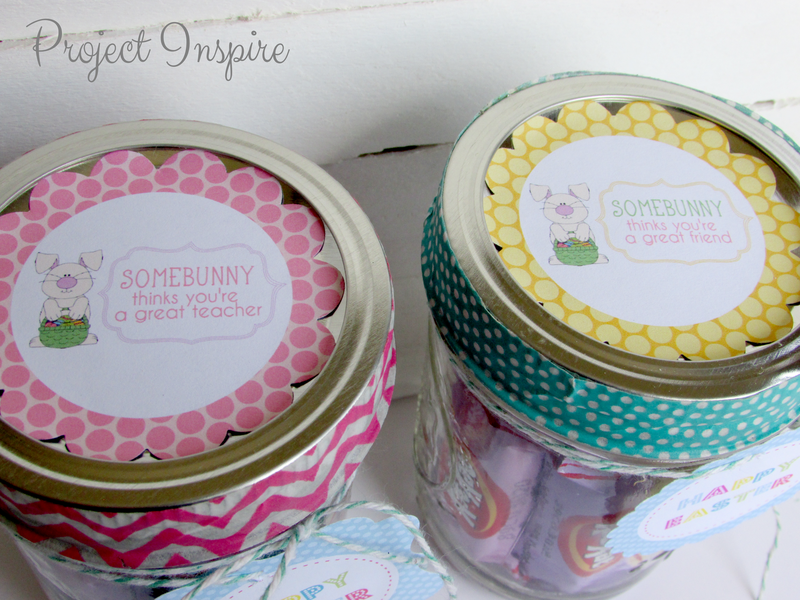 A 2″ circle or scallop punch will also work on the “Somebunny” labels. Thank you! Very cool labels! Pretty labels! And Kit Kats are my favorite candy bar! I need to get myself some spring colored ones. These are so cute Diana! Thanks for sharing! Adorable my friend! Love the pink bunny one! =) Pinning!